It’s no secret that we love Milano! Often overlooked for its prettier and more dramatic sisters Florence and Venice, Milan has its own special charms. In our opinion it is an important place to visit if you want to discover contemporary Italy. Milan is fast paced, modern and fun but of course there are deep roots to the past. Da Vinci’s Last Supper painting is one of the city’s best known sights (you must prebook tickets to see it – click here for details) but we think some of the best things to do in Milan are not the obvious tourist attractions. Here is our travel guide and Milan itineraries to assist with your trip planning whether you’re visiting on a city break or as part of a longer trip through Italy. The centerpiece of the city, Milan’s Duomo is a magnificent example of Gothic architecture made from pink white marble. The streets of the city radiate from the cathedral that rises majestically over the piazza below and neighboring Galleria Emmanuele II. No trip to Milan would be complete without at least walking past the Duomo and admiring the exterior but you must also look inside to view the stained glass windows and venture up onto the roof. Here you can admire views of the city and the incredible craftsmanship that went into the carvings and statues that adorn the building. Make sure to look for the tiny bronze Madonnina who sits far above the Duomo towers offering protection to the city. Visit the Duomo website for latest information on opening hours. Many visitors make the trip to Milan, just to see Leonardo Da Vinci’s Last Supper painting in the refectory of Santa Maria delle Grazie, a church in the city’s west. This beautiful painting depicts one of the most important moments in the Christian bible and is full of symbolism and nuance. Da Vinci was hired by Milan’s ruling Sforza family to paint the masterpiece that has survived over 500 years and intensive bombing during the Second World War. To view Da Vinci’s ‘Last Supper’ you must take a short guided tour. There is no other way. Tickets go on sale on the official site around 2 months prior and sell out almost immediately. But don’t worry, you can easily book them through one of the booking sites. Right next door to the Duomo, Milan’s other most recognizable landmark is the shopping arcade known as Galleria Emmanuele II. Named for the first king of the Kingdom of Italy, the grand four storey building with its spectacular iron and glass domed roof was completed in 1867. These days it is the place to go to admire the spectaculat architecture, peek in the designer stores, have a drink at one of the traditional cafes or visit the amazing food hall Il Mercato. Look out for a picture of a bull made in mosaic on the floor. 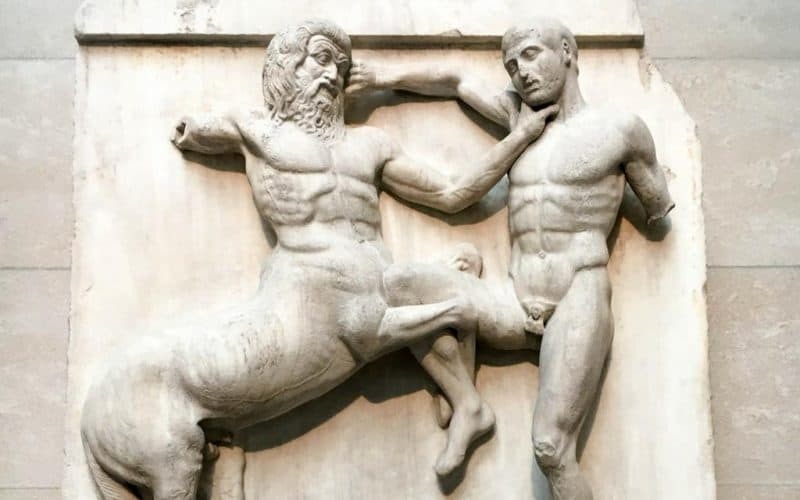 The Milanese believe it brings good luck if you spin three times on your right heel in an anti-clockwise direction on the private part of the bull – the symbol of the city’s rival Turin. One of the world’s most beautiful and important theaters, over 200 years La Scala has hosted operas, concerts and ballets by some of the best known Italian composers and musicians. The theater holds 3,000 people who sit on crimson velvet chairs in the gallery or lavish boxes ready to deliver their verdict on each performance. Puccini’s Tosca was first performed on the La Scala stage in 1926 to a packed house. Previously Verdi premiered his operas Otello and Falstaff after overcoming a feud with the orchestra who modified the arrangements for his Requiem. Teatro alla Scala Museum is open 09:00 – 17:00 most days. Visit the theater website for more information here. Tickets for performances can be bought online at the box office. The theater also releases a small number of tickets each day for the Gallery. You need to line up at the theater in person at midday to have the best chance of getting tickets for that evening’s performance. During the Renaissance period the ruling Sforza family dukes of Milan built their imposing fortress to protect themselves from rival attacks. Today the moated castle hosts a series of museums and galleries that are well worth taking the time to visit. The Sforzas were patrons of the arts and in particular Leonardo da Vinci who painted frescoes in the castle as well as The Last Supper on their commission. You can also see pieces by Michelangelo, Canaletto, Titian and Tintoretto in relative solitude compared with the crowds at museums and galleries in Florence and Rome. Castello Sforzesco is found in the grounds of Parco Sempione, a huge green space in the center of Milan that is great for wandering and relaxing in. The park is home to a Milan’s Arena Civica that holds concerts and sporting events as well as the magnificent Arco della Pace or Arch of Peace that was built to celebrate Napoleon’s victories in Italy. One of the most popular areas of Milan is the area along the Naviglio Grande (Grand Canal – yes Milan has canals too!) known as Navigli. Built to transport marble from the mountains for the Duomo, the canals are now a vibrant hub of boutiques, galleries, restaurants and bars. Visit at sunset for aperitivo and stay to enjoy your dinner with the fashionable Milanese. 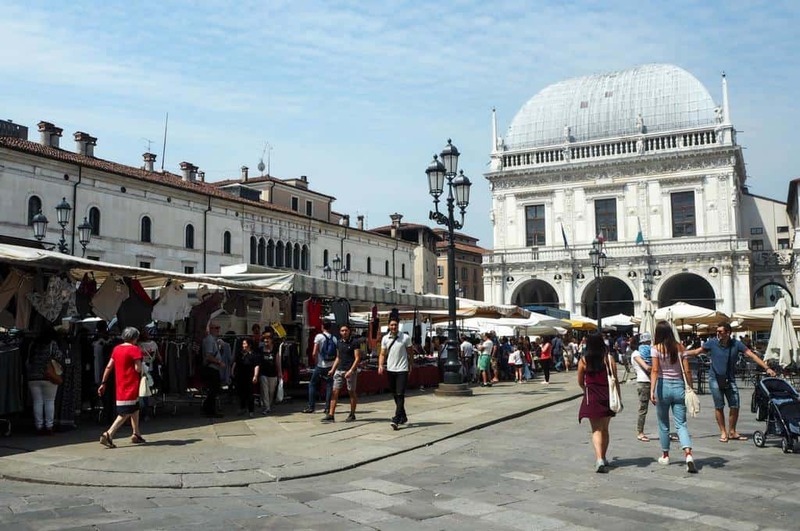 If you are visiting Milan on the last Sunday of each month, you must visit the popular antiques market that takes place along ripa di Porta Ticinese. It’s great for people watching or picking up a unique souvenir. Aperitivo is one of the absolute must do activities in Milan. The tradition of a pre-dinner drink accompanied by snacks was first introduced in the city. From humble beginnings of a few simple bites to accompany a glass of wine, aperitivo has evolved into elaborate appetizer buffets in some venues. No dinner required! Two of Italy’s most celebrated football (soccer) clubs AC Milan and Inter Milan are based in the northern Italian city. If you are a sports fan and timing and luck is on your side there can be no more thrilling experience than watching these teams play a match. AC Milan’s San Siro Stadium is one of the world’s most impressive football grounds. If you aren’t able to see a match, the next best thing is a tour of the stadium. You can get there on your own steam but the hop-on, hop-off bus visits San Siro as well as Casa Milan where you can view the club’s trophies won over their 115 year history – click here for more details. Most people come to Italy in search of ancient buildings, cobbled streets and fading palazzos. Milan is one of the few places in the country where you can appreciate modern architecture and design. The twin towers of Bosco Verticale in the Porta Nuova district are famous on Instagram and around the world. A vertical green garden is the concept behind the innovative design that aims to eliminate air and noise pollution for its residents. You can’t go inside but you can grab a snap for your Instagram feed outside. The modern skyscrapers of the Porta Nuova district are a fascinating contrast to the cobbled streets and ancient buildings that first spring to mind when we think of Italy. Futuristic Piazza Gae Aulenti is the focal point of this area and here you can sit in the square and watch the fountain spurt jets of water into the air in time to music. At night the fountain turns into a sound and light show powered by solar energy. A short walk down Corso Como leads you to the home of modern Italian cuisine – the Eataly superstore at Piazza Venticinque Aprile, 10. Part foodstore, high end food court and a pasta lovers heaven, if you are interested in Italian produce and food it is well worth a visit. Opposite the church where you view The Last Supper there is a beautiful palazzo with a garden on the site where Leonardo da Vinci tended a small vineyard up until his death. It was gifted to the artist by the Sforza family as part payment towards his masterpiece. Today the vineyard has been recreated using DNA evidence at Palazzo Atellani and you can visit the magnificent house and gardens lovingly restored to their former glory after extensive damage in the Second World War. While the vines are still very young and are not producing fruit for wine just yet, you can try similar local varieties at the onsite cafe. Milan is Italy’s fashion capital so you must have a look at some of the designer clothes, accessories and furniture on display even if you don’t buy anything. Many of the designer stores are inside Galleria Emmanuele II next to the Duomo but if you wander the short distance to via Montenapoleone you find the Quadrilatero della Moda – Milan’s fashion district. The world’s most presitgious couture brands are found on this famous rectangle of streets including Armani, Bulgari and Dolce e Gabbana. In the Brera district you’ll find vintage emporiums and design concept stores. Fashion and style are found on every corner in Milan. If you’re interested in design and style, you can hire a guide to take you on a private fashion tour of the boutiques and designer fashion houses of Milan. Those in search of a bargain may like to visit the outlet malls at Serravalle. This is Europe’s biggest outlet shopping mall and a great place to find discounted designer items at up to 60-70% off. You can book a transfer to Serravalle here. If you only have one day in Milan you will want to see the Duomo and Galleria plus the Last Supper painting and/or La Scala theater. Follow the advice above for the 2 day itinerary but add a day trip from Milan to beautiful Lake Como or Lake Maggiore, the lovely small city of Brescia or even as far afield as Switzerland or the Cinque Terre. All the details on how to do this by yourself or on a group tour are below. If you can’t bear to tear yourself away, visit Fondazione Prada and then the Porta Nuova district for a taste of modern Milan. If you are only in Milan for a day or two then stay close to the main attractions in the historic center. The other option is close to Milano Centrale station if you are continuing your travels in Italy by train. This area isn’t the most exciting however and should be used as a quick transit point unless you are staying at the very lush Hotel Principe Di Savoia. Eating in Milan is fun and delicious. Home to the concept of aperitivo, you can bar hop and snack to your heart’s content or settle into a long lunch over some of Italy’s finest modern Italian cuisine. Here are some of our favorite places to eat in Milan. No trip to Milan would be complete without a stop at Luini, home to the city’s favorite street food. Panzerotti are parcels of fried dough, traditionally filled with tomato, cheese and ham. They have been cooked to a secret recipe at Luini since 1888. We suggest ordering a couple of savory items as well as some of the sweet versions. An icon of the Milan dining scene, Paper Moon is popular with locals and visitors alike. Since 1977 the restaurant has forged its reputation by cooking the best versions of Italian classics, like spaghetti alle vongole (spaghetti with clams), in town. Grilled seafood and steaks are also a speciality at this delightful cosy venue where you are sure to walk away content in every way. Reservations recommended. We were looking for a restaurant not far from the church where you view The Last Supper painting and were lucky enough to stumble on La Brisa. Down a quiet street and opposite ancient Roman ruins, this is a quiet and elegant restaurant with an interesting seasonal menu. The dishes at La Brisa are best described as modern Italian – taking the traditional produce and methods of cooking and adding a contemporary twist. If you can’t choose from the a la carte menu you can opt for an interesting tasting menu. In summer the restaurant has tables outside in its small and pretty garden. La Brisa – Via Brisa, 15 – closed on Saturdays and Sundays at lunch time. In the Porta Romana district, Il Posto a Milano is renowned for its modern approach to Italian cuisine and use of the freshest seasonal produce. The restaurant is found in Cascina Cuccagna, a restored 18th century farm house and cooperative that supports sustainable agriculture and cultural activities for the benefit of the local community. Try dishes like handmade lamb meatballs with lentils and a fresh take on the antipasto plate that showcase the quality of the produce used. There are many dishes that cater for vegetarians and vegans on the menu. The wine list has a selection of local and biodynamic wines to choose from. Modern Italian cuisine is the focus of this huge complex devoted to pasta, wine, cheese, salami, gelato and every Italian delicacy you can think of. There are three floors of produce, food stalls and restaurants where you can sit down and relax over a meal or buy supplies to create dishes on your own or even ship back home. Chocolate lovers should make a beeline for Zaini Milano. This elegant shop is overflowing with chocolates, candies and sweets. Make your way, if you can, past the wood panelled display cabinets to the bar where you can indulge in one of the best hot chocolates you are ever likely to taste. So thick that your spoon stands up in it, this beverage is the ultimate decadent treat. Visiting Milan with kids is fun. Wandering around the historic center, and a climb (or elevator) up to the roof of the Duomo is also sure to keep your family entertained. We spent a good half day doing this with stops for panzerotti at Luini and pigeon chasing in the Piazza del Duomo. As a museum and gallery lover myself, I’m always on the look out for fun one where kids will be truly entertained. Milan’s Leonardo da Vinci museum [the National Museum of Science and Technology] is the biggest museum dedicated to science and technology in Italy and has some great exhibits to keep kids occupied. In particular, make sure to check out the section dedicate to Da Vinci that includes machines reproduced from his drawings – an hydraulic saw, a spinning machine, and a flying machine. The transport section has vintage plane, trains and even a submarine. A little trek out of the center, the Wow Museum is dedicated to animation and comics and has both indoor and outdoor spaces to explore. We also had good fun at Castello Sforzesco checking out the collection of armour and the moat and playing in the grounds. Thanks to the wide open space of Parco Sempione and modern Piazza Gai Aulenti with its dancing water fountains there are lots of outdoor activities to keep kids busy in Milan. This is great news for parents who are finding it hard to sell yet another museum visit. Milano Centrale is a major hub for international, intercity and local trains. It is a huge train station that connects to the city’s subway, tram and bus network. You can also easily catch a taxi or Uber to your accommodation from here. Services at the station include luggage storage, shops, restaurants and a pharmacy. Flying into Milan is a great idea if you are visiting the city or northern lakes area. The city is served by two airports – Malpensa and Linate – and you can often find great deals on flights into both these airports. Malpensa is the largest airport in northern Italy and you can fly into here from destinations around the world. The airport is 50 kilometers from the city center. 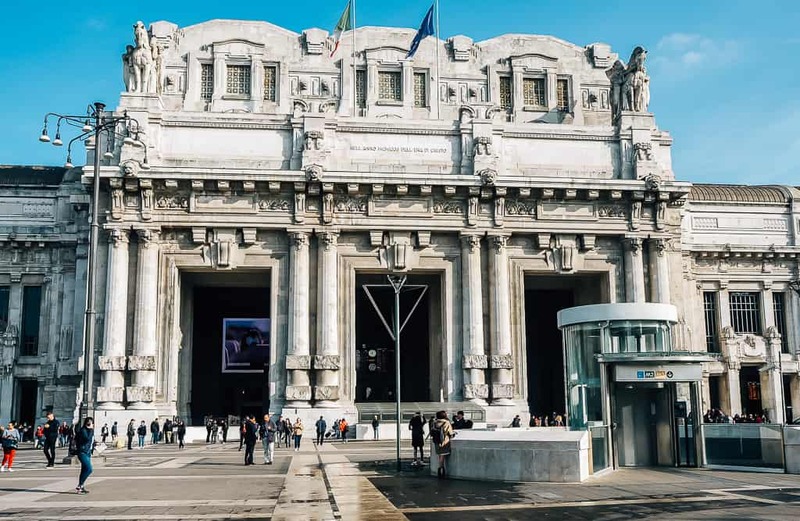 The easiest way to get into the city is via the Malpensa Express to Milano Centrale operated by Trenord. One way adult fares are €13 and the train runs every half hour from 05.30 – 22.30. Taxi or Uber is another option but not as fast and quite expensive. You could also book a private transfer should you be arriving very early or late. Linate airport is smaller and convenient if you are traveling within Europe. Much closer to the city center, the number 73 bus takes half an hour to drop you into the city at Piazza Diaz on Via Larga near the Duomo and costs €1.50. The bus runs from 05.35 and the last one at 00.35. You can also take a taxi or Uber but this private transfer option is good value if there are 2-3 people in your party. Milan is well served by and efficient Metro subway or underground rail system, buses and above ground trams. As there is some distance between the main attractions you will likely use at least one. The Metro will get you to and from Milano Centrale and the Duomo plus many other attractions easily. An inexpensive way to see the city is by the 94 bus that circles the city center passing by popular tourist highlights. But I love the classic trams that rattle and weave their way through the streets. Trams 2, 4, 14 and 16 trams follow routes through the center and pass by Piazza Duomo. For more complex trips you can map out your trips using Google Maps or the local journey planner. A single journey ticket is valid for 90 minutes and costs €1.50. You can buy at ticket machines or use a contactless card to tap through the ticket gates. Visit the Milan public transport site ATM for more information. An easy train journey from Milano Centrale to Como train station (just over half an hour) where you can soak up the glamorous vibes of the lake. Como itself is a bustling city with a beautiful cathedral and pretty cobbled streets. But you can’t miss taking a ferry across the lake or riding the funicular to Brunate for sweeping views of the lake and surrounds. Read our guide to Como for ideas on what you can do in this area and plan out your day. You’ll want to check out the ferry timetables here so you can make the most of your time. The best way to see the highlights of the lake and experience a private boat trip is to take a group tour from Milan. This tour stops in Varenna (pictured above) and Bellagio as well as one of the famous lake villas – more information. Tip – If you are going to Como on your own steam consider taking the train to Varenna and from there taking ferries to Bellagio and Como. You will see more of the lake this way as well as beautiful Varenna which would hard to squeeze in otherwise. Lake Maggiore is another of Italy’s beautiful lakes in easy reach of Milan by train. You can be strolling by the side of the lake at Stresa in around an hour from Milano Centrale. At Stresa you can visit the stunning Borromean Islands via a short ferry trip. On Isola Bella stroll the baroque gardens and admire the impressive palazzo before returning to Stresa for a leisurely late lunch. Many people can’t resist the lure of the Swiss Alps when they visit Milan. After all, it’s just a short trip over the border for the chance to ride on one of the world’s classic train journeys – the Bernina Express. To get there on your own steam, take the regional train from Milano Centrale to Tirano – the journey takes about 2 hours 20 minutes. In Tirano you switch to the Bernina Express to St Moritz. You will need to buy a ticket there. The first train is at 10.07 from Tirano and the return train is 15.11 from St Moritz giving you a couple of hours to explore the Alpine resort town. Brescia is a place that stole my heart and is well and truly off the main tourist routes through Italy. This small city is full to the brim with historic buildings and sites layered over its streets over many centuries. There are Roman ruins, Venetian palazzos and wide piazzas and many restaurants where you can try the traditional dishes of Lombardy. If you absolutely must see the Cinque Terre but had no way of squeezing Italy’s west coast into your itinerary, you can take a Cinque Terre tour from Milan. It is a long day and you won’t see all the villages but once you get there you’ll see why it is one of the most popular places to visit in Italy. For more details on the tour click here. We hope you are ready and excited or your trip to Milan whether it is a European city break or part of an extended trip to Italy. This vibrant city is so much fun that we always feel sad to leave. Do you have a favorite experience in beautiful Milano?